Discussion in 'News & Announcements' started by ItsAZZA, May 6, 2018. 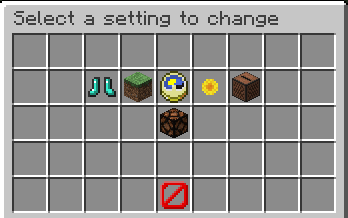 The plot biome menu is also accessible by using /p biome on your plot. 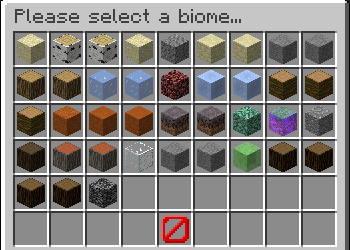 The menu shows you the current biome, and you are able to change the biome by clicking the desired biome. With this new menu you can easily the change your plot’s true/false flags. Flags that are set to true are shown as glowing. You can toggle the flag by clicking it. Remember, that some of these flags (e.g. ice melting, grass growth…) do not work on Creative, because they cannot override server settings (... yet). We have had the banner for a while now… Now we finally have the Alphabet & Number banner creator in it. You can select the base and font colors for your banners and then get the completed banners (alphabets and numbers). The banner menu can be accessed with /banners - it holds a lot of cool banners for you to use. If you have a suggestion for a banner to be added, please use /submitbanner while holding a banner. Send the link to myself (ItsAZZA) via Discord of in-game. Plot themes continue to evolve - here are some of the latest features. You can now change the plot theme after you have claimed the plot. At the moment, this only works with single plots. Please note that changing the plot theme will clear the plot and apply the new theme. You are asked to confirm this before the theme is applied. 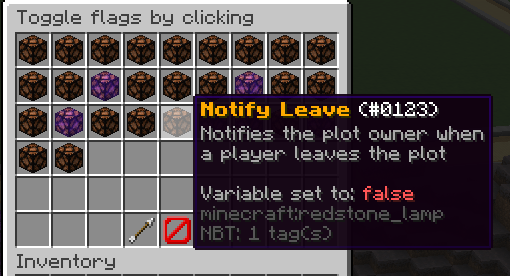 You are now able to select a plot theme when claiming a plot using /plot claim. Biomes are now part of themes. Some themes now apply a biome to your plot when you select them. You are able to change this by yourself. We have added more themes to the regular world. There are some more themes coming for the nether and end dimension plot worlds later, so stay tuned for those! If you have some great ideas for themes in mind, please do not hesitate to contact - yours might be added to the themes list. Should you come across any bugs, please be sure to report them to a staff member. And as always, have an awesome week on BuildCraftia. Wordguy, Napkin and LumenFidei lick this. "Build it and they will come!" Thank you Azza for your great attention to detail and perseverance!